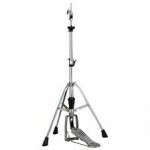 The popular closed hi-hat by Pearl has been a consistent best seller. 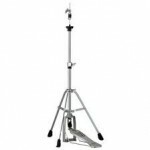 It has the Uni-Lock tilter Pearl designed and is fitted on a boom cymbal arm. It is completely adjustable. 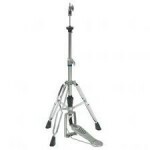 The HS-650A is a compact, easy to fold Hi-Hat stand. It is chain-linked with Single-Braced legs. Spur anchors are installed for secure grip on surfaces. 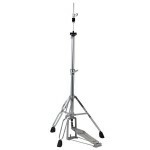 This is a great lightweight stand. 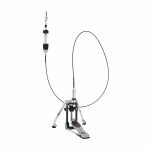 The HS-850 has Rotating legs,11-step adjustment tension and is chain-linked. The Double-Braced legs add stability when needed. This is a very smooth, quiet stand. This stand has a 3-leg design. Unusual due to the front 2 legs being single braced and the back double braced for added stability. 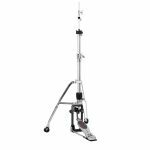 The pedal can adapt easily for double bass drum pedals. 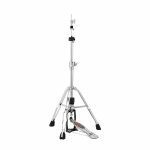 The HS-1200 has Direct-Drive and full tension adjustment. It comes with 2 size hi-hat rods. The HS-1200D is made for double bass pedal playing. 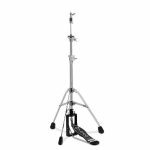 It is a 2-leg design with Direct-Drive, full tension adjustment and the new locking clutch for top hi-hat cymbal security. The action is smooth and quiet. Spur on the legs provided additional stability. If you need a strong, powerful hi-hat this will do the job!! 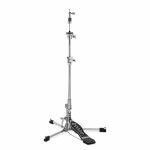 Two size hi-hat pull rods are included. The HS-1200T is a new Toggle link drive Yamaha recently designed. The toggle link drive feels lighter at the top of the stroke, and gets gradually stronger as the footboard is pressed. This gives the HS-1200T a lighter, more expressive feel. 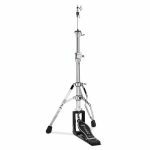 The HS-1200T has adjustments for spring tension and footboard height, and the narrow footboard makes it easier to fit in multiple pedals. It is a 2-leg design and includes the new locking clutch. The H-830 has the impressive Demon foot board. 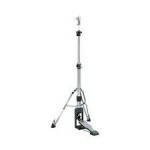 It is a long foot board much like the Demon bass drum pedal. 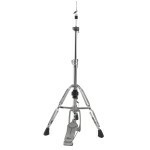 The tripod is double braced and legs swivel for all around adjust-ability. Very well priced and a very smooth action pedal. The new long footboard of the H-930 has attracted a lot of players who play toe-up. 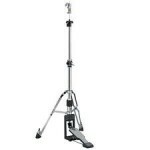 The action of this pedal is extremely fast and the advantage of swivel legs is an asset on set up. 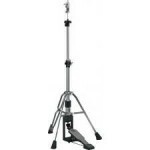 The stand has a tension adjustment control as an added feature. 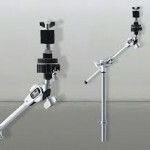 The tripod legs are well designed, heavy-duty,and will not "creep". 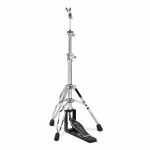 The Pearl H1050 Redline Hi Hat Stand features a Direct Drive System. Ideal for players who like the older style of high hat control. It has an easy spring tension dial and rubber/spike tips. The footboard is adjustable and the legs swivel. FREE SHIPPING WITHIN CONTINENTAL USA! 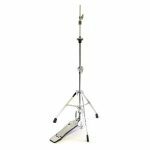 The Pearl H150S Hi Hat Stand is lightweight with a flat base. It weighs a mere 6.30 lbs. 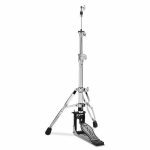 Features direct pull action, swivel legs and the base can be converted to a single braced tripod by flipping the convertible tripod base. 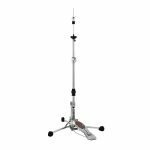 Ideal for gigging and reducing the weight in your trap case. FREE SHIPPING WITHIN CONTINENTAL USA!